Trickster 2 is the favorite mask of the tricksters in the collection. 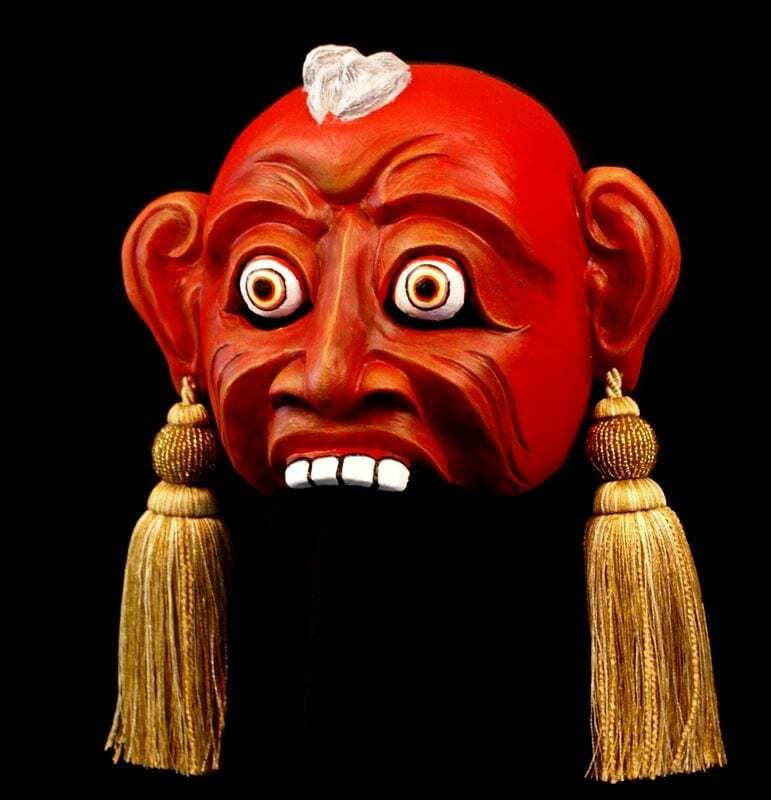 The absurdly large tassels on the sides of this mask act both as decoration and hair extensions. They play wonderfully and create a comic effect that allows the actor to comment on his thoughts and actions through the movement of the tassel. The tricksters are a force in stories worldwide. They cause mayhem and disaster everywhere they go but somehow through their chaos create great change for the better. Their mistakes cause whole planets to come into existence, mountains to rise from the landscape, inventions to appear and kingdoms to rise and fall. They also exist in their simplicity as the aggravator to the miser or the politician and simply provide comic relief. The trickster is described as being at once an omniscient creator and an innocent fool. The tricksters combine moral lessons with humor.